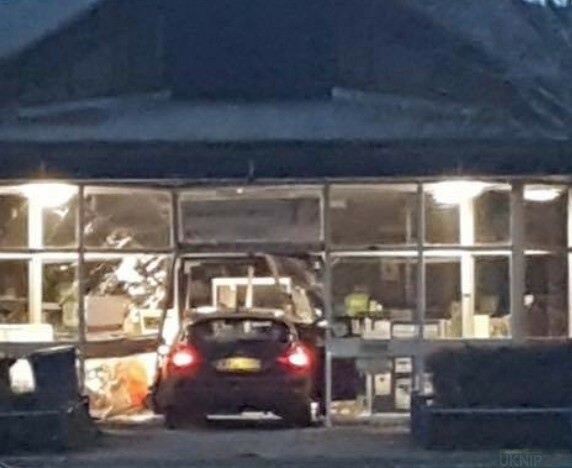 A car has ploughed into a local library by ploughing through the main doors. The Ford Focus crashed into the front of Bridgemary Library in Gosport on Sunday. A 33-year-old man has been arrested on suspicion of burglary. Police said a man was reported to have entered the building but nothing was stolen. Hampshire County Council said the building would remain closed on Monday. Councillor Sean Woodward, said the building was secured and they would be working as quickly as possible and be reopened for business”. “I would like to thank the public and libraries teams who made their way to the building as soon as they were alerted to ensure no one was hurt and to assist police at the scene. Gosport borough councillor for Bridgemary South, Linda Batty, who is also a former Bridgemary librarian, said: “The properties above were evacuated due to worries the structure could potentially be dangerous. Hampshire Constabulary said the arrested man, of no fixed address, remained in custody on Monday morning.